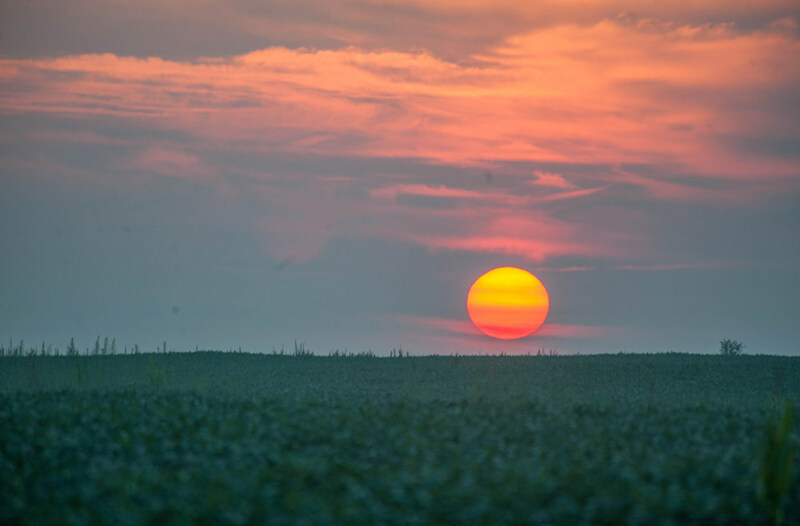 A rural landscape at sunrise near Mansfield, Ill., on Aug. 20, 2013. Nearly 50 years ago, Illinois became the first state in the nation to adopt a comprehensive Environmental Protection Act. The act, passed in 1970, established a triumvirate of offices to protect the state’s environment, setting up a system that could legislate, rule and enforce. The Pollution Control Board, a quasi-legislative and quasi-judicial independent agency, would adopt environmental regulations and hear cases on those regulations, the Institute for Environmental Quality would provide independent and focused research for the board, and the Environmental Protection Agency would serve as an enforcement arm, conducting inspections and finding violations. But since then structure has steadily deteriorated. The Illinois EPA's staff has been cut in half over the past 15 years. The Institute for Environmental Quality was eliminated within five years. The Pollution Control Board’s budget has been folded into the budget for the Environmental Protection Agency in the past 15 years. The Pollution Control Board, which handles less severe cases, has also seen a downturn in referrals. In 2017, the board had 18 administrative citation cases. In 2014, the board had 54 cases. Glosser said that she often heard of staffing issues as a reason for fewer cases, but that the decline in enforcements far outpaced the decline in staffing levels. Brian Urbaszewski, director of environmental health at the Respiratory Health Association of Metropolitan Chicago, said the EPA is proposing rules that would make air quality worse in Illinois, increasing the risk of asthma and stroke for people across Illinois through changes to the Pollution Control Board. “It’s more than the starving the agency, its actually actively working to increase air pollution,” Urbaszewski said.